Join us at the TypeCon2011 hotel and headquarters! Stay with us at the Royal Sonesta New Orleans and help us keep TypeCon as affordable as possible. Located in the heart of the French Quarter on the world-famous Bourbon Street, the Royal Sonesta is distinctively European in flavor, yet unmistakably New Orleans. You’ll be greeted by beautifully appointed guest rooms, lush tropical courtyards with outdoor pools and serene gardens, and great dining. 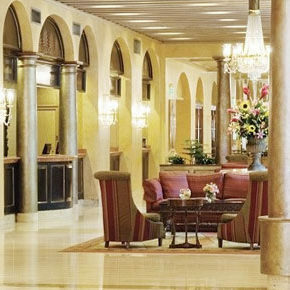 Enjoy free in room internet and the convenience of not traveling to and from the conference venue each day. Please call 504-586-0300 and ask for the reservations desk. Help us keep TypeCon affordable! Staying at the conference hotel keeps registration fees down.